USS John C. Stennis (CVN-74) is a Nimitz-class nuclear-powered supercarrier in the United States Navy named for a Senator from Mississippi . 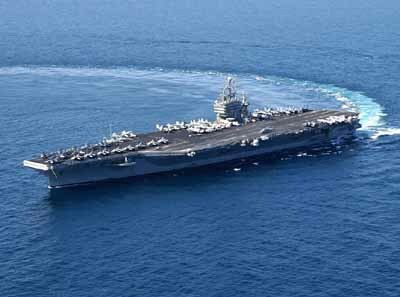 USS John C. Stennis is 1,092 feet long and towers some 20 stories above the waterline. As a self-contained city, JOHN C. STENNIS has virtually the same amenities as any American city with a comparable population. It has a daily newspaper, radio and television stations, fire department, library, hospital, general store, laundry, two barbershops and even a post office with its own zip code.